When you are making presentations using PowerPoint, you always insert some media to make the PPT more interesting and appealing, right? You may try to add part of a DVD movie to your presentation. However, PowerPoint doesn't support the DVD formats. If you are looking for ways to embed DVD to PowerPoint presentation, just read on. You can add several video formats (ASF, AVI, MPEG, WMV, etc.) to PowerPoint. In order to insert the DVD movie to PowerPoint, you can convert DVD to PowerPoint supported video formats first and then insert the converted videos to your presentation. In this way, you can realize inserting DVD to PowerPoint presentation. To convert DVD movies to ASF, AVI, MPEG, WMV, etc. 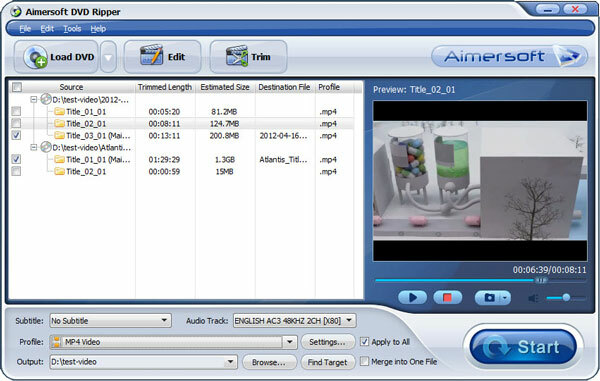 you can use Aimersoft DVD ripper for Windows (Including Windows 8). It lets you rip DVD to all popular video formats and even extract audio from DVD movies. 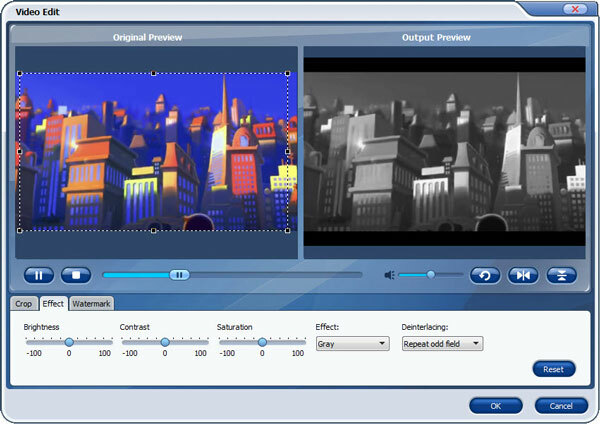 Besides, the built-in video editor allows you to trim, crop, rotate video, add watermarks, etc. to get the very part and effect you want. If you want to insert files from DVD to PowerPoint on Mac, try the equivalent Mac version - Aimersoft DVD ripping software Mac. Mac version is compatible with Mac OS X 10.6, 10.7, 10.8 (Mountain Lion) and 10.9 (Mavericks). Just get the right version and follow the guide below to convert DVD to PowerPoint supported video formats and insert videos to PowerPoint presentation. This guide uses Aimersoft DVD Ripper for Windows screenshots. The way to rip DVD on Mac (Mavericks included) is the same. Just make sure you get the right version. Insert the DVD disc into your computer's hard drive, and click "Load DVD" to add the DVD file. DVD Folders, ISO and IFO files are also supported. If you want to edit your DVD movies before ripping, you can click the "Edit" or "Clip" button to open the Video Edit window. Here you can crop, rotate, adjust video effect, add watermark and clip, etc. are provided. All the editing can be real-time previewed so as to ensure the video quality and effect. Now just choose you a proper output path as your destination folder for the converted movies. 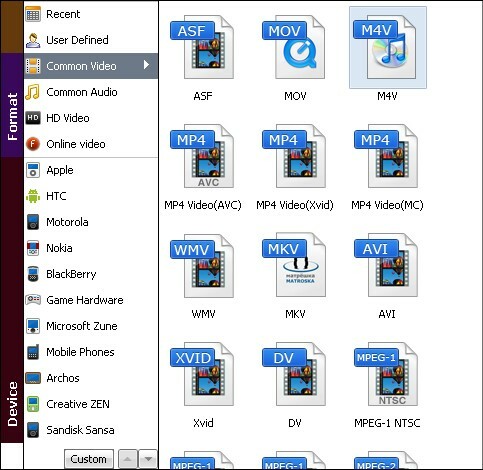 If you want to embed DVD to PowerPoint in Windows (Windows 8 included), you can choose the output formats as WMV or AVI. If you are a Mac user, you are recommended to choose MOV. Then click "Start" to begin the ripping. After the ripping, you will get the desired videos in the destination folder. Open your PowerPoint presentation and click "Insert". For PowerPoint 2007, choose Movie and select the video clips. For PowerPoint 2003, select "Movie and Sounds" > "Movie from File" to choose the video clips. Done! In this way, you can play DVD in PowerPoint. Just get Aimersoft DVD Ripper and get rid of the DVD limitation!